Pluto has been demoted from the status of a planet after similar planets were discovered in its vicinity. Now it is a dwarf planet. But it still behaves like a planet. Though its smaller than our Moon, it has 5 moons circling around it. Pluto was discovered in 1930. But its largest moon Charon was not discovered until 1978. That is because at such a great distance, the two tiny objects appeared blurred together to the telescopes of earlier days. Pluto and Charon are considered a "double planet", because Charon is half the size of Pluto. 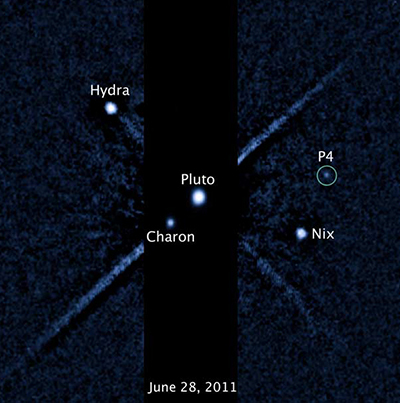 Here goes a list of all five moons of Pluto.